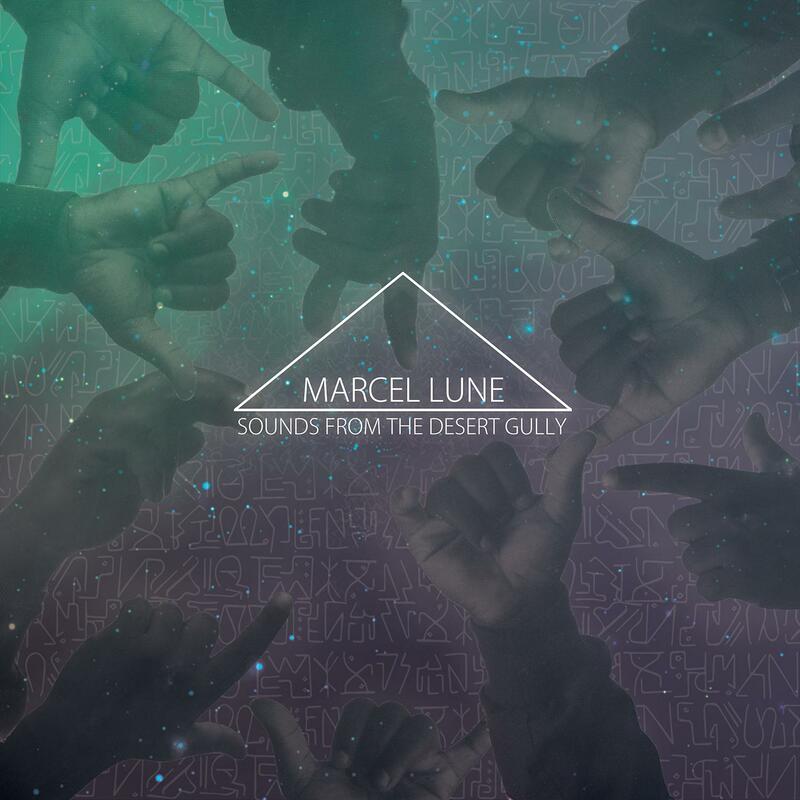 "Sounds From The Desert Gully	"
Marcel Lune delivers his â€˜Sounds From The Desert Gullyâ€™ L.P, featuring twelve tracks from the Bristol based artist. In 2013 Marcel Lune was named â€œa prodigious new talentâ€, having caught the eye of several industry names with his Intergalactic Dance Floor Massacre EP. Amongst these were Gilles Petterson, Addison Groove and Rustie. Having just dropped his second, self-titled, EP on Tony Thorpeâ€™s Studio Rockers, this artist now brings you his debut full length album, â€˜Sounds From The Desert Gullyâ€™ on the same label. It features guest vocals from 21-year old Californian producer and rapper Lee Laamaj. The album includes one track from that first EP, the lilting, drunken beat of Eight Legged Elephant, which fits in alongside Marcelâ€™s newer cuts like Voyager and Gully Rhythm. All 12 tracks offer maximalist, genre spanning grooves. Nookula, a jazzy hip-hop influenced track employing muted trumpet samples and flowing disco strings to build things, before unfolding into a funk-infused groove. Recent single Fantasia is drenched in sweet, multi-tracked vocals from Reading based singer Haze, a former winner of the BBC New Songwriter award. Seawolf continues with the hiphop tinged vibes. West-coast rap talent Lee Laamaj sings and lays down some playful rhymes over slowed down crunchy handclaps and glitched up G-Funk keys on Cali â€˜96. Voids offers some squelchy pads over a break beat loop that drops after a couple of minutes. The manic sound continues on Soul Beat Runner and Dâ€™Angelo - a couple of rough-cut 2 step numbers before Marcelâ€™s ability to craft his trademark choppy funk is summed up in Under The Willo and, closing track, Only You. All tracks written by Marcel Lune except Track 2 by Marcel Lune & Jamaal Randal, Track 9 by Marcel Lune & Hazel Tratt. Published by Dharma Songs. Except Track 2 by Dharma Songs / Copyright Control, Track 9 by Dharma Songs / Copyright Control.